It's a little dark and dreary outside my window--my favorite weather, next to snow! 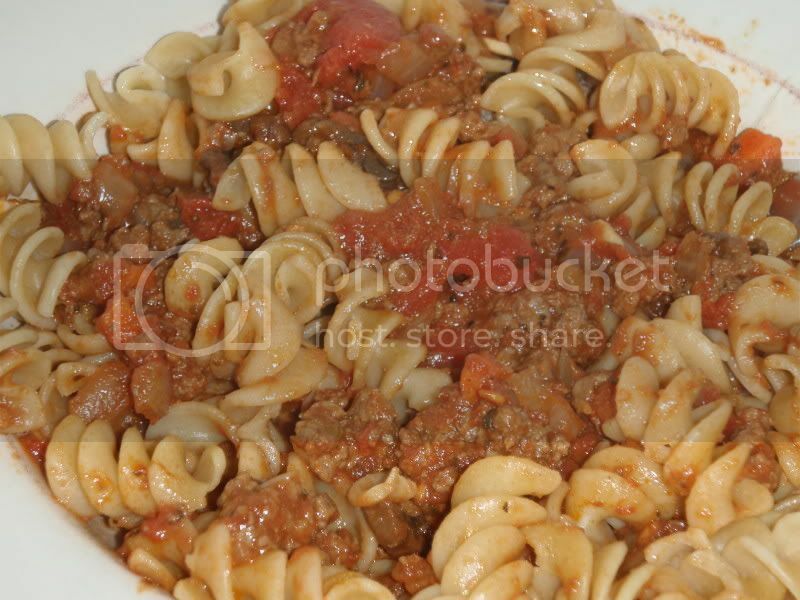 How about a nice comforting bowl of pasta with meat sauce? Season ground beef with a sprinkle of salt and pepper and cook until browned. Drain and set aside. Saute onions and carrots in a little olive oil until softened and beginning to brown. Add mushrooms about halfway into cooking time for your onions and carrots. Add garlic and dried basil and cook for another minute. 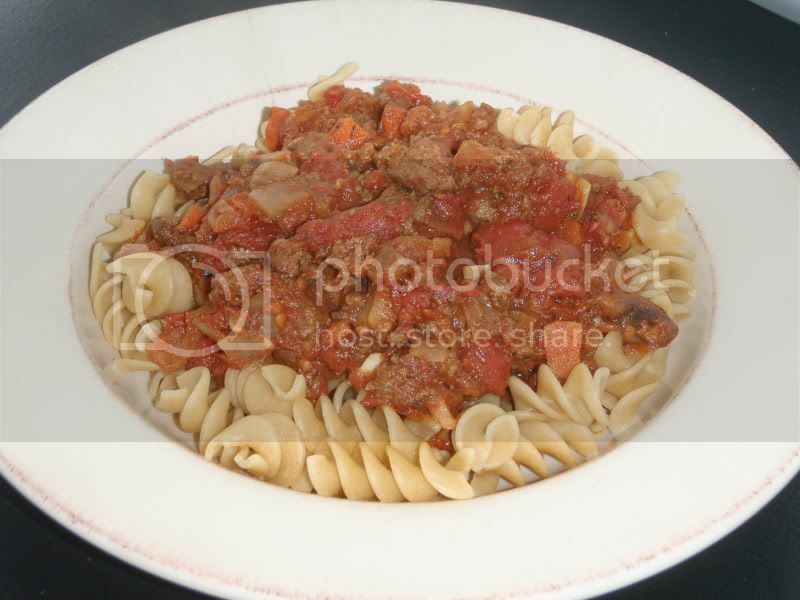 Return meat to the pan and stir in tomatoes and tomato paste. Depending upon how thick you like your sauce, you may want to add a 1/2 cup of water. I like a thick sauce, so omitted this step. Bring mixture to a near boil and then simmer on low for 45 minutes, stirring occasionally. Adjust seasoning, as desired. 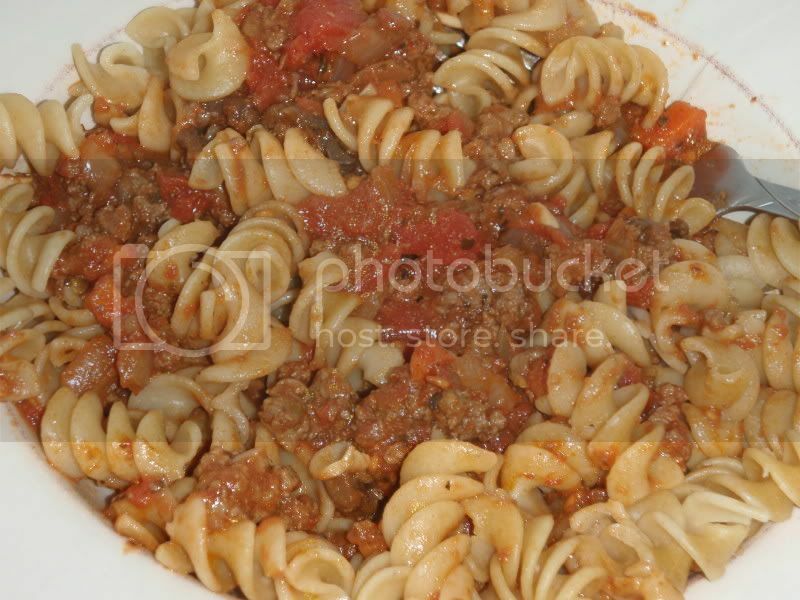 Serve over hot pasta.